Cinemablographer: Esi Edugyan wins Giller! 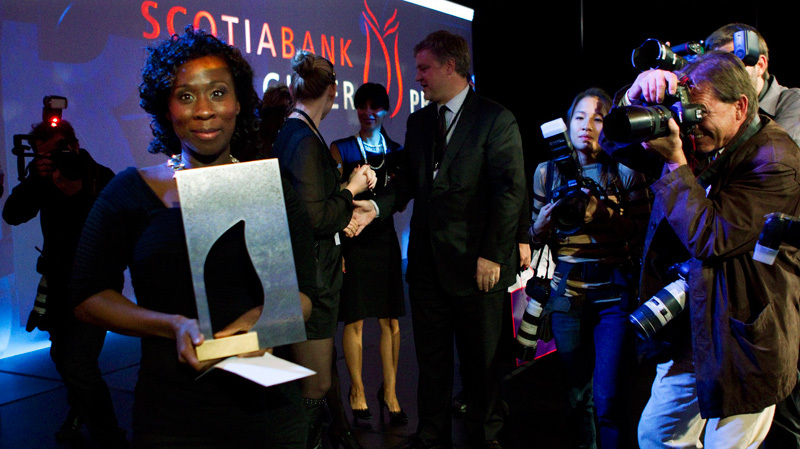 Esi Edugyan was declared the winner of the 2011 Scotiabank Giller Prize last night for her novel Half-Blood Blues. Edugyan's novel deserves the prize 100%. Half-Blood Blues tells of a group of black jazz musicians in hiding in wartime Paris. During the days of the German occupation, the musicians bide their time by cutting a new record, which becomes the stuff of legend, especially since their star trumpet player was arrested by the Nazis shortly after the band recorded its final take. Edugyan tells her story in a snappy, yet eloquent prose with a remarkable jazzy rhythm. It's a unique and excellent book. The win for Half-Blood Blues is a great improvement for the Giller, as last year's winner, The Sentimentalists is arguably the weakest Giller winner. (Kathleen Winter's Annabel was by all regards robbed.) Edugyan beat out other CanLit heavyweights like Michael Ondaatje (whose novel The Cat's Table was a strong nominee) and Patrick DeWitt, who, like Edugyan, was also a finalist for the Man Booker Prize. I'm very glad to see Edugyan win the $50 000 prize because I discovered her first book, The Second Life of Samuel Tyne, in the bargain at Chapters a few years ago, and fell in love with her writing instantly. I read Samuel Tyne in one day whilst doing my tedious summer job of traffic counting, and it was one of the books that kept me from approaching madness during the days of sitting by the road counting cars in the summer of 2008. Hopefully this prize allows more readers to enjoy her work! 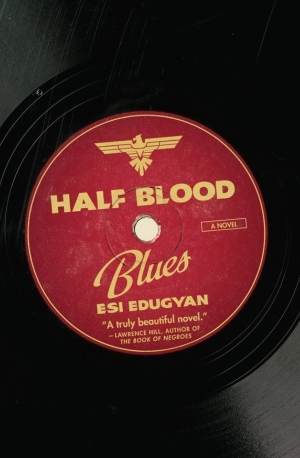 Also, Half-Blood Blues would make a great movie...somebody better claim the rights chop, chop!